It’s been a while since we posted a new recipe to the blog. With the temperatures beginning to dip here, my wife has been eager to make recipes that turn up the heat in the kitchen – literally. If the weather keeps getting chillier (and we know if will, this is Canada, after all! ), then I foresee many more sweet treats and hearty meals in my future. This week, my wife wanted to make some cookies, and lucky me she decided to take a tried and true oatmeal cookies recipe and jazz it up a bit. 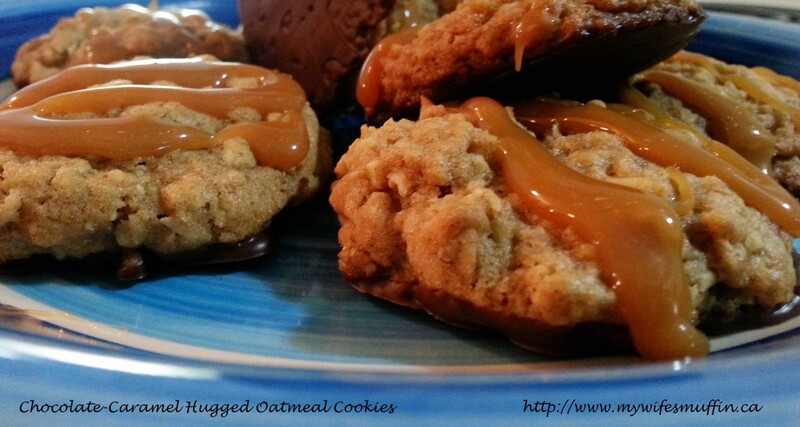 The results are a humble oatmeal cookie ‘hugged’ in chocolate and caramel. These decadent treats are the perfect bite for those sweet tooths! Preheat over to 350 degrees. In bowl of stand mixer, cream butter and sugar until smooth. Add egg, vanilla, lemon juice and combine. In separate bowl, mix oatmeal, coconut, flour, baking soda, cinnamon, and salt. 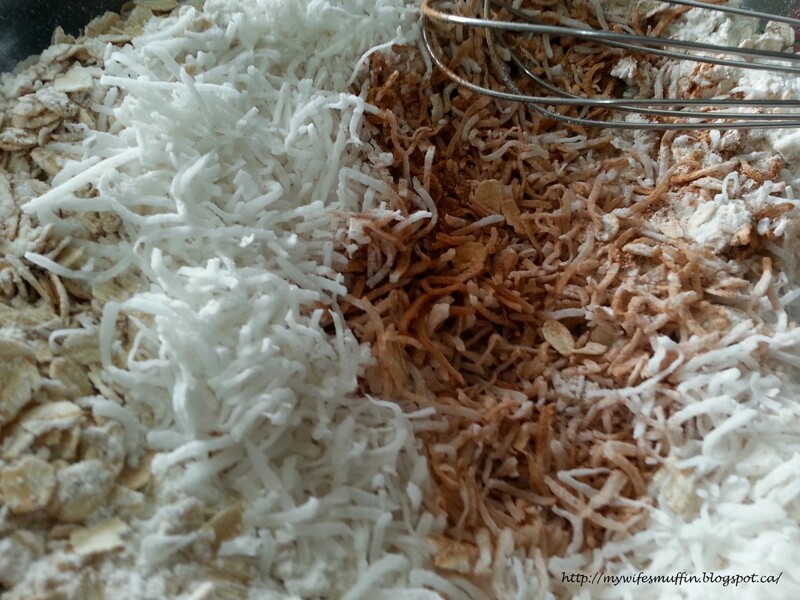 Gradually add dry ingredients to wet and combine until mixed thoroughly. Drop by rounded spoonfuls onto ungreased cookie sheet and bake for approximately 12 minutes or until brown. Allow to cool on wire rack. Once all baked cookies have cooled, begin making chocolate dip. Place a heatproof bowl over a simmering pot of water. 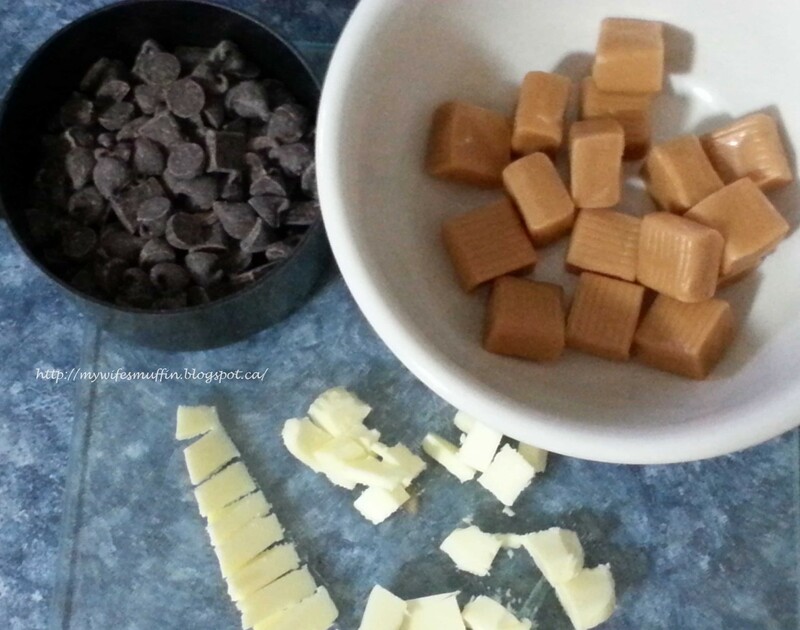 Add chocolate chips and butter to bowl and stir slowly until chips and butter has melted and are blended smoothly. If chocolate dip is too thick, add more butter until desired consistency is reached. Dunk bottom half of cookies into melted chocolate and place on parchment lined cookie sheet. Place dunked cookies in freezer to set (about 20 mins). Move cookies to wire rack (you may have to peel cookies off of parchment paper). Begin making caramel drizzle. Place caramel candies and water in small pot with a heavy-bottom. Heat over medium-low temperature until candies melt. If consistency is too thick, add a bit more water. Once caramel has reached desired consistency use a spoon to gently drizzle sauce over cookies on wire rack. Allow to cool and store in air tight container in refrigerator for up to one week.